Ernie Russom, a 30-year parishioner at St. Laurence Parish, shows members of his group some ways of finding their next job. The “Great Recession,” which was caused mainly by the sub-prime mortgage collapse in the U.S., began in 2007. It peaked in 2009 and is long over, according to economists. Unemployment reached 10 percent during that time and is down to 6.7 percent now. That doesn’t mean everyone who wants or needs work has it, or that everyone is earning a decent wage commensurate to their experience and potential. The fact is many people are unemployed or underemployed and still looking to do something about it. 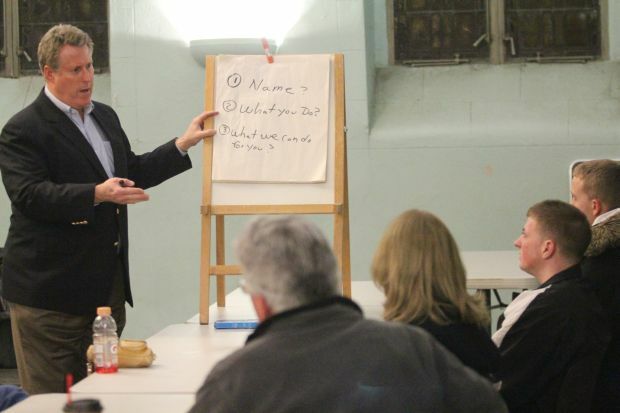 At St. Laurence Parish in Upper Darby, 30-year parishioner Ernie Russom leads the group “Metro Philly Job Search,” which he founded in 2008 to assist people — parishioners or non-parishioners, people of any faith or no faith — in their quest for meaningful employment. His effort has the blessing of his pastors, beginning with Father John Silcox and now the current pastor, Father Sean O’Neill. Russom has served on the St. Laurence Parish Pastoral Council, the Finance Council, as a pastoral planning representative and transition team member for the merger of St. Alice and St. Laurence. His own expertise in the field of employment comes from insights he has gained as executive director of Westview Associates, a consulting firm that assists employers by identifying and qualifying targeted potential employees for specific jobs within their organizations. People of all ages, Catholic or non-Catholic, or even religious, find the networking opportunities and practical tips for job hunting helpful in the Metro Philly Job Search Group. Although this work primarily serves employers it has given him knowledge of what employers are looking for. 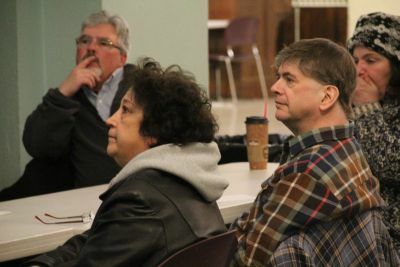 Typically the meetings, held in the parish hall 6:30 p.m. on the first Wednesday of each month, last about an hour and attract about 15 people, some new and others returning members. They are drawn not just from the parish, but a wide area. Membership and attendance is totally free: no one is ever charged for anything connected with Metro Philly Job Search. Attendees are usually 40 years of age and older, Russom observed, and because of that they may not be aware job searching itself has changed. In the new millennium job hunting is a contact sport. “It has always been my belief that if you have the skills and ability to help someone you are derelict if you don’t,” said Russom, who can be contacted via email here. 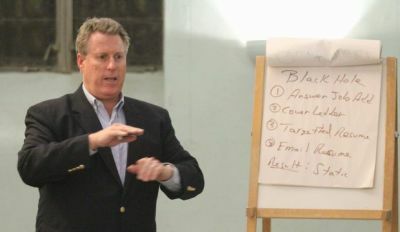 After brief introductions, there is usually a guest speaker with expertise in the field and a focus on a particular area of job search – identifying one’s professional skills, identifying targeted companies, writing a targeted resume, networking in response to a job posting as opposed to answering a job ad, and excelling during the interview. “Ernie has been an invaluable resource for me over the three years we have known each other,” said J. Wayne Fluke, a former family business owner whose company went under during the recession. Now in his early 60s, he is in an age group where job hunting is most challenging. He has only recently found part-time employment but is still searching. The meetings also allow job seekers the time to share recent successes with their job search, as well as sharing the challenges and suggestions for solutions to the challenge. One of the most effective means of networking, Russom finds, is through the website LinkedIn.com.